Before I met Gary Mills, the winemaker of Jamsheed wines in Victoria Australia, I assumed he studied Perisan literature as part of his Bachelor of Literature given the quotes from Rumi and Jamsheed on his website. Reference to these Persian mystics and mythological figures also appeared to provide a neat segue to the popular assumption that the grape variety Syrah, or Shiraz, originated in Persia now more commonly known as Iran. In addition to literature Gary studied Japanese and it was his language skills that helped him find employment at the iconic Ridge Vineyards in California where he began as a cellar door hand greeting visitors from Japan. This eventually led to working in the winery with Paul Draper who was recently awarded the 2013 Winemakers’ Winemaker award from the Institute of Masters of Wine and the drinks business magazine for, among other things, his work in championing the single vineyard wines in California. 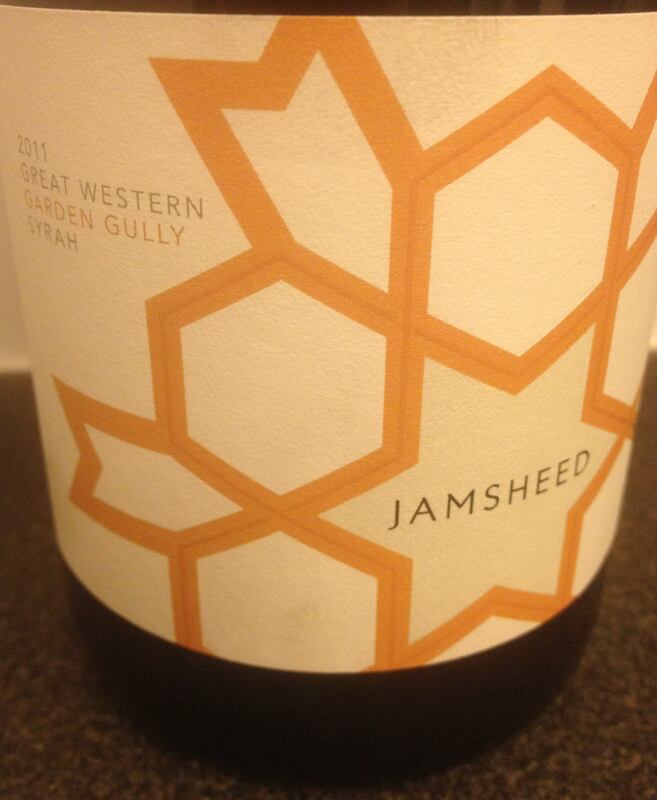 I mention this because the Jamsheed portfolio focuses on presenting single site Syrah from around Victoria. When I asked Gary about his time at Ridge and the impact it had on his wine making style he was quick to say that Paul Draper had taught him “everything I know about wine”, and that Paul was “intelligent, skilled and generous”, describing wine from Ridge Vineyards as “all encompassing art transcending wine to create a historical piece of art”. Gary’s enthusiasm for single site Syrah is infectious and I found myself excited to work my way through tasting the Jamsheed Syrahs in my cellar. While the same grape variety as Shiraz, the word Syrah is often used to denote cooler growing conditions with black fruits, pepper and spice on the palate rather than the more familiar fruit driven examples of warmer regions. Years spent working in vineyards around Victoria have provided Gary with an in depth knowledge of the best sites from which to produce Syrah. Sites include Garden Gully in the Great Western Region of Central Victoria, with vines of more than 120 years old, the Warner Vineyard in Beechworth and the Yarra Valley among others. The Syrahs I tasted provided very different expressions of the same grape – from big broad flavours of black fruits and meaty mushrooms in the deep ruby Garden Gully Syrah to the high acidity and bright red fruits and spice of the Yarra Valley Syrah. The Garden Gully Syrah, 2011, at 14% abv definitely requires an equal when matching with food so we paired it with a lamb tagine (Middle Eastern/North African slow cooked stew). The fruit in the wine worked well to balance the spices of the tagine. When pairing a high alcohol wine with a spicy dish there is a risk that the spice will overpower the richness and fruit of the wine leaving it tasting bitter and astringent. This was not the case with the Garden Gully Syrah – the black fruit flavours in the wine were sufficiently ripe and sweet so as to match the spice well. The forest floor and mushroom notes in the wine also complemented the flavour of the lamb – overall a rather succulent wine that worked well with the richness of our tagine. Different in style, the 2011 Yarra Valley Syrah was paired with a tomato chorizo pasta dish. The burst of fruit and spice on the front palate followed by mouth watering acidity worked well with the richness of the chorizo while complementing the acidity in the tomato sauce. As the wine continued to open in the glass spicy pepper flavours came through working well with the spice in the chorizo – a very good match indeed. Since starting in 2003 Jamsheed wines has seen exports to Japan and the USA grow to 30% of total production and excellent reviews of the 2011 vintage in Wakawaka Wine Reviews and the New York Times will see much of that vintage exported to the US. Gary tells me there are plans in the works to begin exporting to Hong Kong later this year – very good news indeed! 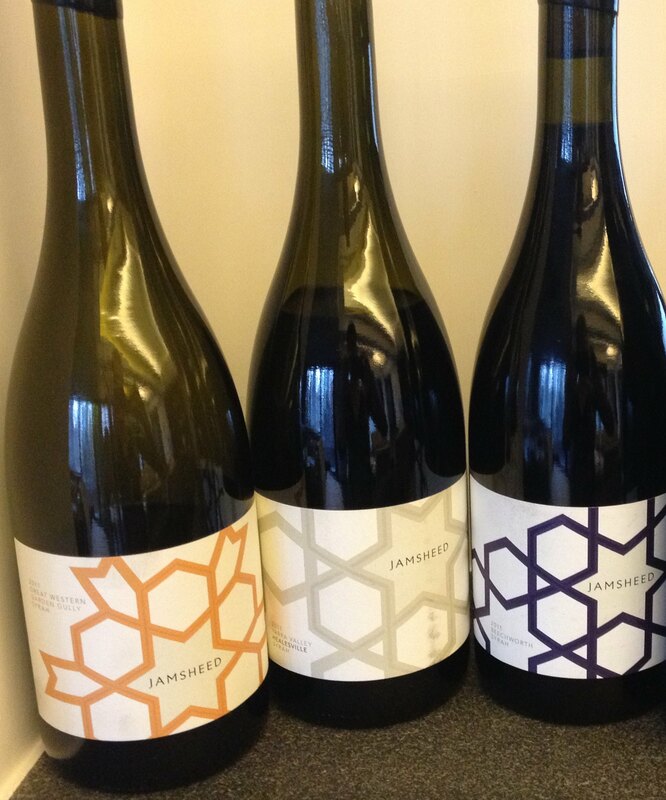 Apart from the wines themselves what I also enjoy about Jamsheed wines is the product itself. 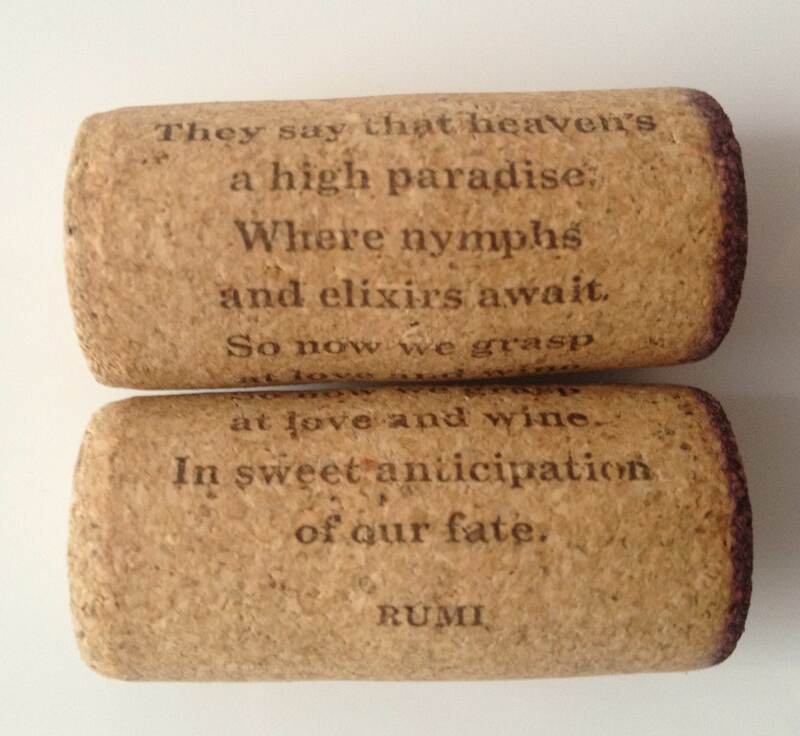 It is carefully designed and this sense of style permeates all aspects of the brand whether it be embossing the Rumi quote from the website onto the corks and the cartons, or the naming of the second series in the portfolio (the Harem Series), or the minimalist design of both the website and the labels. This reinforces the sense that Jamsheed wines are a carefully crafted product reflecting a well-conceived vision of creating wines that speak to the location from which they came. For those of you in Australia I would encourage you to seek out these wines, particularly as the cooler months are upon you – what better Sunday evening activity as you prepare for the coming week than to slow cook something delicious and open a bottle of Jamsheed Syrah? Here in Hong Kong, well we shall have to be patient and for those of you in the US, look out for the 2011 vintage you lucky people and get some in your cellar! Beautiful deep ruby colour with purple hues. Aromas of sweet black fruit (plums, blackcurrants and ripe blackberries), pungent and sweet spice (black pepper, nutmeg and cloves) and minerality (slate and pencil shavings). On the palate medium acidity with soft slightly chalky tannins, high alcohol (14% abv) and medium plus finish. Flavours of black fruit (soft blackberry candy and black cherries), pungent spice (black pepper), pencil shavings and forest floor with meaty mushroom notes. Medium ruby colour. A delicately perfumed wine with aromas of fresh red fruit (cherries, raspberries), pungent spice (black pepper) and forest floor (wet leaves, mushrooms). On the palate medium minus body reflecting the elegant and light mouthfeel, medium tannins and high acidity. Flavours of red fruit (sour cherry, strawberries, raspberries), pungent spice (black pepper, black liquorice, aniseed, fennel) and wet leaves. A medium finish with lingering savoury notes. Medium ruby colour. A spicy and savoury nose of black pepper, a hint of vanilla and chacuterie followed by red fruits (cherries). On the palate medium body, medium tannins with high acidity. Flavours of fresh redcurrants, sweet cherry tomatoes and wet leaves with a hint of soft candied cherries. A medium plus finish.